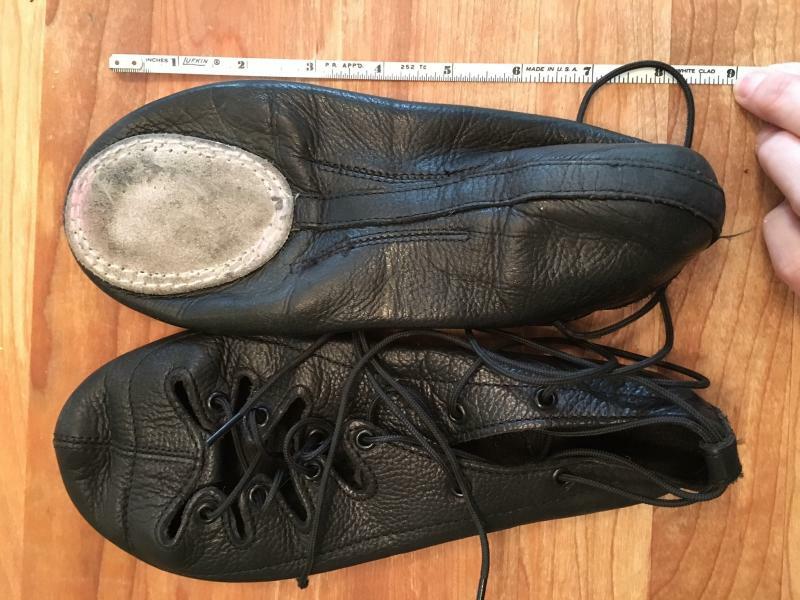 dance.net - Corrs highland shoes size 3.5M $45USD (10246111) - Read article: Ballet, Jazz, Modern, Hip Hop, Tap, Irish, Disco, Twirling, Cheer: Photos, Chat, Games, Jobs, Events! Corrs highland - fit is similar to Hullachan HHCs but leather is much softer. This pair is in good condition. $45USD plus shipping. Thanks for looking. What is the width on these at ball and heel, please? These are a standard medium width. My daughter wears a size 7.5M street shoe and these fit her (they are a snug fit, the leather molds to the foot).